Fru-Gal.org: Half Off Frappuccinos @ Starbucks! Half Off Frappuccinos @ Starbucks! 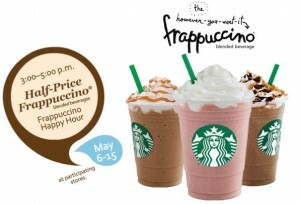 Through May 15, stop at a particpating Starbucks between 3-5pm to get half off on a "however you want it" frappuccino!